Making International Payments. 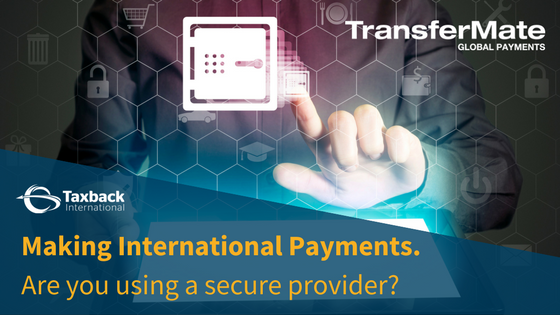 Are you using a secure provider? Guest Blog - Taxback International is delighted to team up with our sister company TransferMate; giving you cost-effective, quick foreign currency transactions.